Professor Linder received his J.D. from Stanford Law School. His undergraduate education was at Gustavus Adolphus College in St. Peter, Minnesota, where he majored in mathematics. He has been a visiting professor of law at Indiana University, Hamline University, and the University of Iowa. He has also been honored as a Distinguished Scholar-in-Residence at the University of Tulsa Law School. Professor Linder teaches Constitutional Law, The Jury: Practice and Perspectives, Seminar in Famous Trials, The Quest for a Satisfying Career in Law, and First Amendment Law. He has also taught courses in Administrative Law, Communications Law, Environmental Law, Natural Resources Law, and Preservation Law. Professor Linder is a recipient of the Elmer P. Pierson Teaching Award (twice, most recently in 2003), the Daniel L.Brenner Faculty Publishing Award, and was selected as a UKC Trustees Fellow. 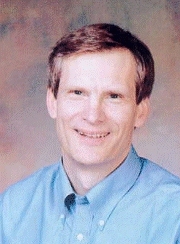 In 2001, Professor Linder received the title of Elmer Powell Peer Professor of Law. 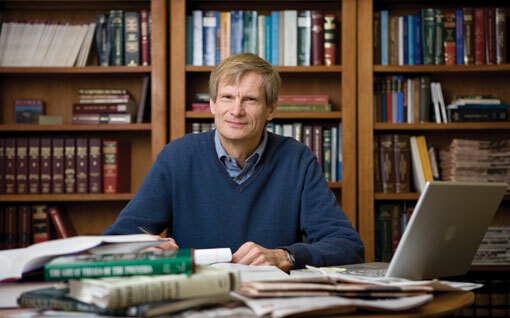 Professor Linder has published numerous articles in the fields of constitutional law, famous trials, environmental law, and communications law. The Famous Trials website, the Web's largest and most visited collection of original essays, images, and primary documents pertaining to great trials, has been an ongoing project of Professor Linder's since 1996. Professor Linder has contributed book chapters, participated in video projects, and presented public speeches on the subject of historic trials. Exploring Constitutional Law and Exploring First Amendment Law, two other major websites of Professor Linder, are e-casebooks designed for use primarily by law students. Professor Linder is co-author of The Happy Lawyer: Making a Good Life in the Law, a book examining satisfaction in the legal profession, published in 2010 by Oxford University Press, and The Good Lawyer: Seeking Quality in the Practice of Law, also published by Oxford Press (2014). Professor Linder is a former member of the Minnesota Bar and has practiced in the areas of environmental law and communications law. Professor Linder enjoys tennis, curling, canoeing, hiking, and traveling. He and his wife Cheryl have two children, Ann and Kari.